The new SsangYong Rexton 4x4 is on sale in Australia, providing a new benchmark for large SUVs. 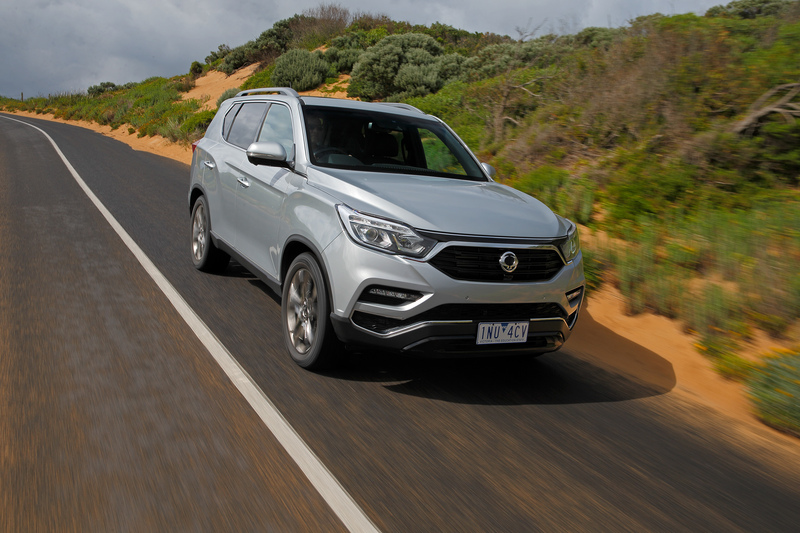 "Australia's desire for SUVs continues to grow and we are confident the new Rexton 7-seater will be a hit with families wanting a combination of performance, safety and outstanding value for money," said SsangYong Australia Managing Director Tim Smith. "The new Rexton is tailor made for Australian customers, offering a prestige SUV loaded with the latest technology for minimum investment. "Rexton is proof that SsangYong is a company ready to make its mark in Australia and demonstrates that the company is Korea's SUV specialist. "Previous customers are in for a very pleasant surprise, while new customers will be astonished by the quality evident in the new Rexton," said Mr. Smith. 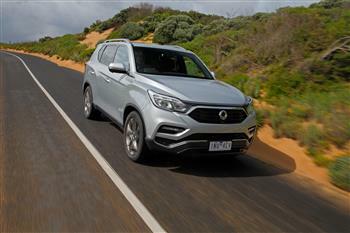 The new Rexton will compete in Australia's large SUV segment, offering a genuine 7-seat SUV with low range and true off-road capabilities. It is powered by a 2.2-litre turbo diesel engine delivering maximum power of 133kW and maximum torque of 420Nm, via a 7-speed Mercedes-Benz automatic transmission. A 2WD petrol-engine model will also be available, powered by a 2.0-litre turbocharged engine delivering 165kW of power and maximum torque of 350Nm via a 6-speed Aisin auto gearbox. It measures 4850mm in length, 1960mm wide, 1825mm high, and has a 2865mm wheelbase. Developed under the project name of Y400 and seen as the LIV-2 concept at the Paris motor show in September 2016, the new Rexton takes its inspiration from the 'Dignified Motion' of SsangYong's design language, 'Nature-born 3 Motion'. With a fresh, modern yet restrained look, there's a cohesive appearance to the front where the radiator grille and headlights blend together harmoniously. The grille resembles the spread wings of a bird in flight - first seen on Tivoli, and now adopted as the new frontal look across all new SsangYong models to create a distinctive and recognisable identity for the marque. The projection headlight units also comprise daytime running lights, LED fog lights with cornering feature, side and indicator lights, while bright body detailing and wheels help convey a prestigious image. The rear of the car offers a gracious yet purposeful look, with LED rear combination side lights, air spoiler with high-mounted LED stop light and LED number plate lights, while alloy wheels add to the overall appearance of style and luxury. The sense of refinement and luxury is continued with the beautifully executed interior. With a well-balanced design, the ambiance is fresh, contemporary and well laid out, with a choice of seating including full high grade nappa leather trim, and with the luxury touch of quilted nappa leather seat and interior trim on the top of the range model. The large cabin offers generous shoulder and headroom to help ensure the highest level of passenger comfort. All Rextons will comes standard with seven seats, the second row of seats splitting 60:40 with a folding centre armrest, and giving easy access to the third row of seats, which fold 50:50. This seating combination gives greater passenger and load flexibility, equipping the car with one of the largest load spaces in its segment – more than 1800 litres. Thanks to this flexible interior design it can easily accommodate rear seat passengers and four golf bags in the boot. Rexton is one of the strongest vehicles in its class thanks to its robust, body-on-frame build. Starting with the high-strength steel construction of its body, the car is stiffer than many monocoque-built competitors in this category. Mounted on an extremely strong Quad-Frame, this structure is built using 1.5Gpa-grade ultra-strength steel - a world first, and featuring 81.7% high strength steel to greatly improve strength while also reducing weight. Rexton will feature six airbags including full-length side curtain airbags, and come standard with Autonomous Emergency Braking (AEB), Forward Collision Warning (FCW), Lane Departure Warning (LDW) and High Beam Assist (HBA). The ELX and Ultimate add two rear side airbags and a driver's knee airbag, Blind Spot Detection (BSD), Rear Cross Traffic Alert (RCTA) and Lane Change Assist (LCA). The range-topping Ultimate adds a 360-degree camera and speed sensitive steering. Electronic safety aids now accepted as important standard equipment on a robust 4x4 such as Rexton include brake assist, electronic brake force distribution and ABS, traction control, active rollover protection and an emergency stop signal. The Rexton powertrain employs a 2.2-litre turbo diesel engine manufactured by SsangYong, which delivers maximum power of 133kW and maximum torque of 420Nm. This highly efficient, extremely quiet and proven e-XDi220 engine delivers progressive acceleration from a standing start, and strong low-end torque typical of SsangYong power units. Transmission is a Mercedes-Benz 7-speed automatic known for its smooth dynamic gear changing and durability. The car's 4WD drive system draws on SsangYong's years of experience in 4WD technology. For better efficiency and greater fuel economy, the car features part time 4x4 with power delivered permanently to the rear wheels. Front wheel drive can be selected electronically as required with high ratio, and low ratio chosen as and when the off-road conditions become more demanding. It also features special electronic safety aids when driving off road such as hill start assist and hill decent control, and boasts approach and departure angles of 20.5 degrees and 22 degrees. With primary drive to the rear wheels, the ride, handling and driving stability are enhanced thanks to the well-balanced weight distribution, and a combination of double wishbone suspension at the front and 10-link independent suspension at the rear. The new Rexton's NVH levels can be attributed to its stiffer body, improved aerodynamics to reduce wind noise, better engine isolation by means of hydraulic engine mounts, improved cabin sealing and lower road and tyre noise. The new Rexton is ideally suited for towing, with a capacity of 3.5 tonnes, making it ideal for Australian conditions. Rexton moves the game forward for SsangYong technologically. The advanced infotainment system includes DAB radio, Apple CarPlay and Google Android Auto for device mirroring and a high-resolution rear view-reversing camera, displayed on a large 8.0" screen. The top of the range Rexton also gets 3D around-view monitoring to provide a clear view of the area surrounding the car to increase safety and driver convenience during low-speed driving and parking, as well as rear cross traffic alert. Other features include a Supervision instrument cluster with a sizeable 7" LCD display for driver information, and a 'smart' electronic tailgate on the top specification model. Like every model in the SsangYong Australia range, the Rexton comes complete with a comprehensive seven-year, unlimited kilometre warranty, seven years' roadside assistance and seven years' service price menu.